Sakura may be Japan’s most famous blossoms, but that doesn’t mean their other petal-y compatriots should be overlooked! 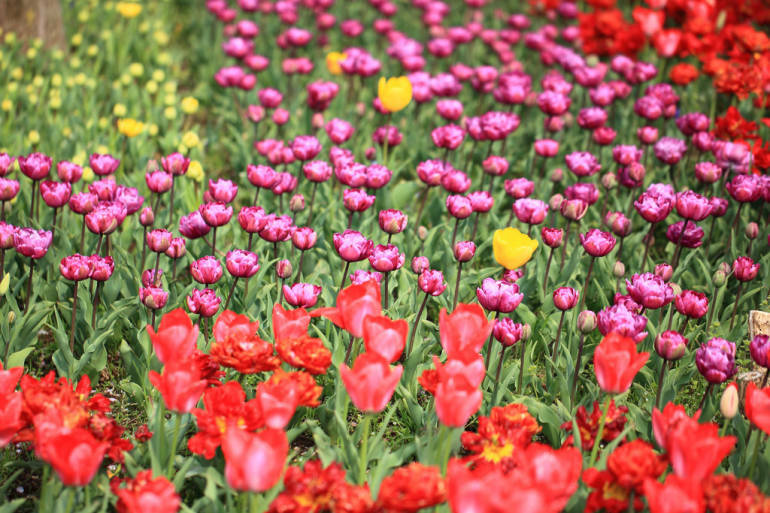 Many places come alive with color during springtime, and different festivals across the country are held to celebrate the beauty of the flowers. Here are a few Tokyo flower festivals worth checking out. 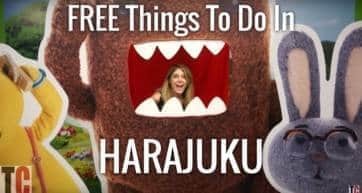 Note that some locations are a few hours away from Tokyo, so it’s a good idea to schedule a day trip if you want to make the most of your time. Where to see them: Mt. Fuji, Yamanashi, and Chichibu, Saitama Prefecture. Blooming from mid-April to late May, these pink, white, magenta, and light purple flowers thickly cover the ground like a carpet. This year, Mt. Fuji’s shibazakura festival is held from mid-April to late May at the Fuji Motosuko Resort. When: April 13 to May 26, 2019. 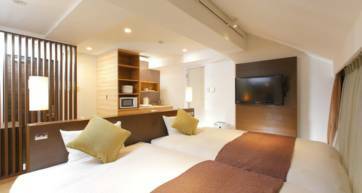 Where: Fuji Motosuko Resort, Yamanashi Prefecture. Admissions: Entrance is ¥600 for adults, and ¥250 for children older than three. 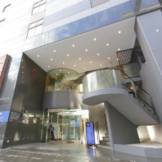 Opening hours: 08:00 to 17:00 daily. 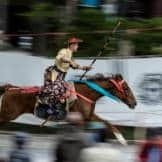 Access: There are multiple ways to get there, the most convenient of which is by taking a bus that departs from Shinjuku and arrives at the festival site in about two and a half hours. Aside from the shibazakura, other attractions and activities are a food festival, photo contest, and souvenirs. Pro tip: If you want to maximize your flower-viewing, this tour combines shibazakura, the Grinpa Tulip Festival, and strawberries, all in one neat package. If Mt. Fuji is too far, try visiting Saitama Prefecture‘s Chichibu for their shibazakura festival, which takes place from mid April to early May. 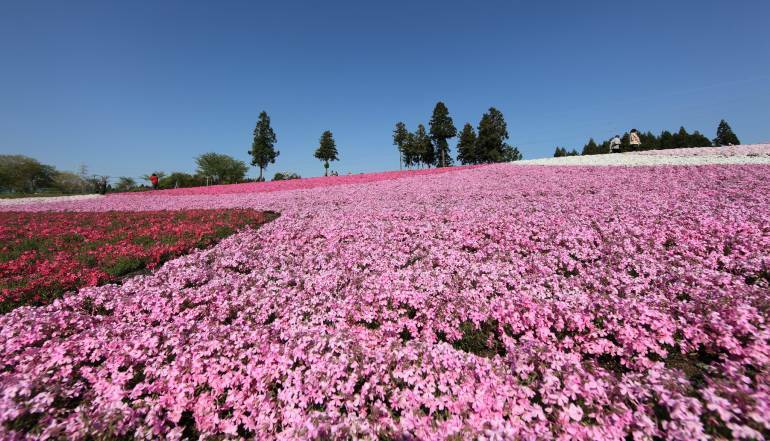 Specifically, the place to check out is Hitsujiyama Park’s Shibazakura Hill, which has about 400,000 shibazakura flowers. When: April 12 to May 5, 2019. Where: Shibazakura Hill, Hitsujiyama Park, Chichibu, Saitama. Admissions: It’s ¥300 admission for all ages. 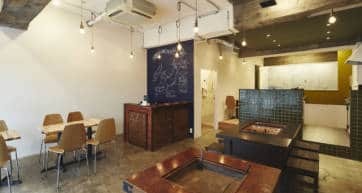 Access: Shibazakura Hill is a 15- to 20-minute walk from Yokoze or Seibu-Chichibu Station, both of which are less than 2 hours away from Ikebukuro Station, with a train ride costing at least ¥740–¥780 one-way. 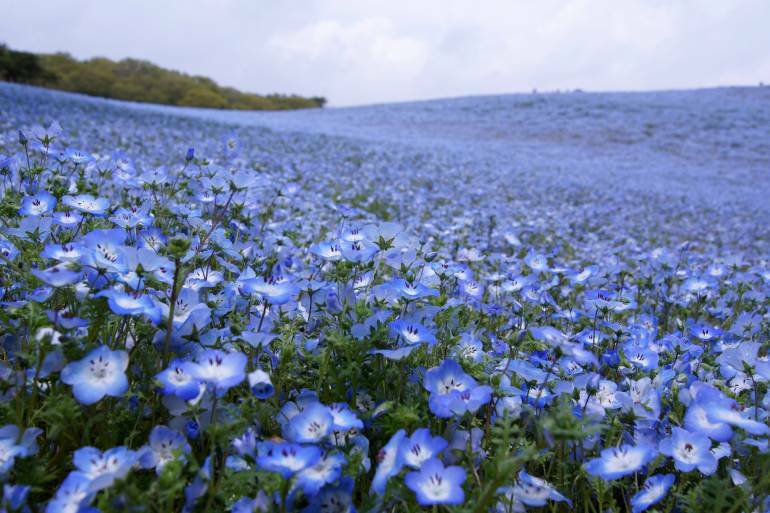 From late April to mid-May, the Miharashi Hills of Ibaraki Prefecture’s Hitachi Seaside Park transform into fields of blue, in a sight that some have described as something to definitely see at least once in your life. 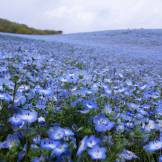 This festival, dubbed Nemophila Harmony, takes place from late April to early May this year, and involves 4.5 million nemophila—no wonder the hills turn almost completely blue! When: April 25 to May 14, 2019. Where: Hitachi Seaside Park, Hitachinaka, Ibaraki Prefecture. Admissions: Regular entrance fees at the park are ¥410 for adults, ¥210 for seniors, and free for children. Opening hours: 09:30 to 17:00. Access: Hitachi Seaside Park is about 2 hours away from Tokyo, and entails a complicated ride (at least ¥2,840 one-way) involving trains, then your choice of a bus, taxi, or getting there on foot. 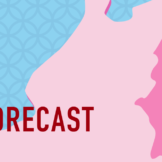 Pro tip: You can skip all the hassle AND add seeing Ashikaga’s famous wisteria to your flowery day out AND get your fill of strawberries with this three-in-one tour. The best place in Tokyo to see these hanging blossoms is Kameido Tenjin, a 17th-century Shinto shrine in Kameido, Tokyo. This shrine has a pond, which reflects the wisteria beautifully, and an arched bridge known as a “drum bridge,” making it a scenic spot. The wisteria festival here runs, based on estimates, from mid-April to early May. When: April 14 to May 5, 2019. 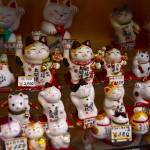 Access: Kameido Shrine is a 15-minute walk from Kameido Station on the Sobu Line. 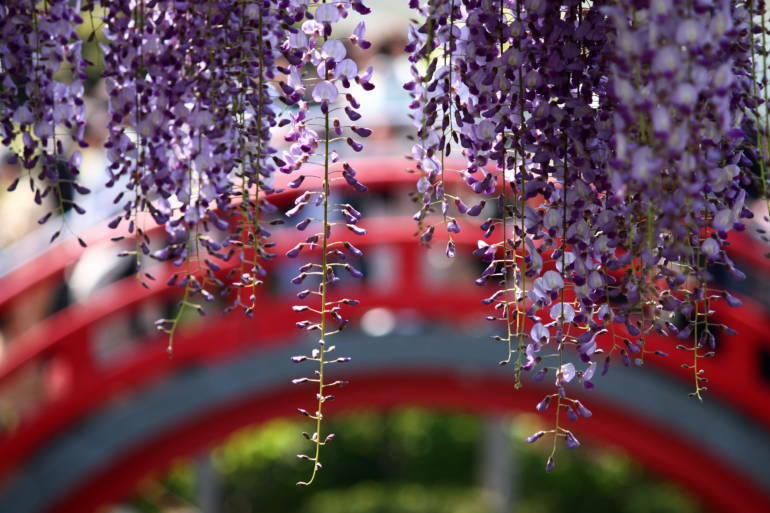 If you want to go a little farther, Ashikaga Flower Park in Tochigi Prefecture is an even bigger ground for wisteria. Not only do they have the usual light purple wisteria, but they also have ones in the same shade as cherry blossoms, as well as white, yellow, and green ones. The park is also known for having a long wisteria tunnel. 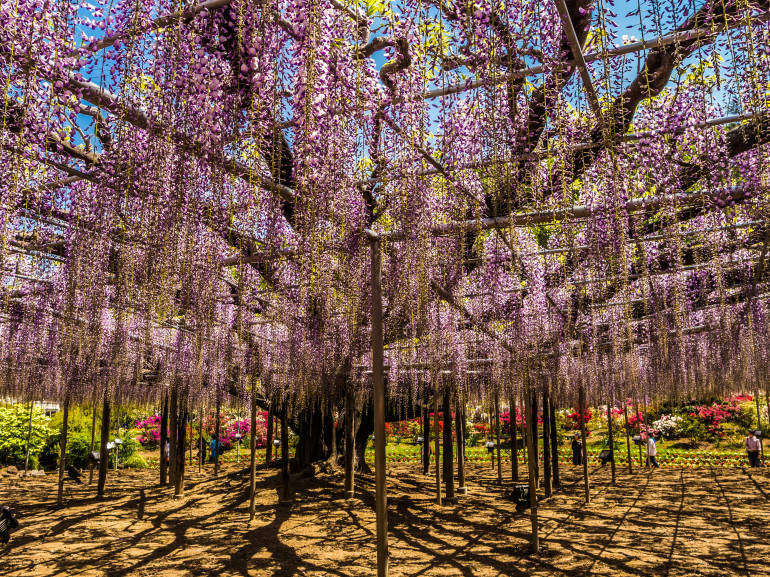 This year’s Fuji Monogatari, the name for their wisteria festival, runs for just over a month between mid April and mid May, with night illuminations running from late April to late May. The park’s opening hours extend into the evening when the fuji is illuminated. When: April 13 to May 19, 2019; night illuminations from April 20 to May 12, 2019. Where: Ashikaga Flower Park, Tochigi Prefecture. Admissions: Admission fees vary depending on the blooming status of the wisteria, but the price range listed on the website is ¥900–¥1,800 for adults, and ¥500–¥900 for children. Night tickets are between ¥600–¥1,500 for adults and ¥300–¥800 for kids. Opening hours: 07:00 to 18:00; night illuminations extend opening hours to 07:00 to 21:00. 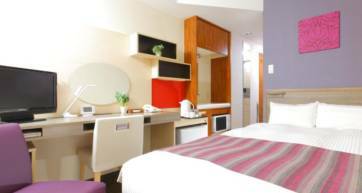 Access: The park is a 15-minute walk from Tomita Station, which is about 70 minutes away from Tokyo or Asakusa Stations. You can check the official website for more info. 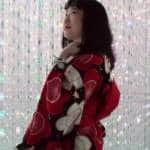 Pro tip: If this sounds like your cup of tea, and you want to combine it with a trip to Hitachi’s fields of blue nemophila and more strawberries than you can shake a stick at, check out this tour. 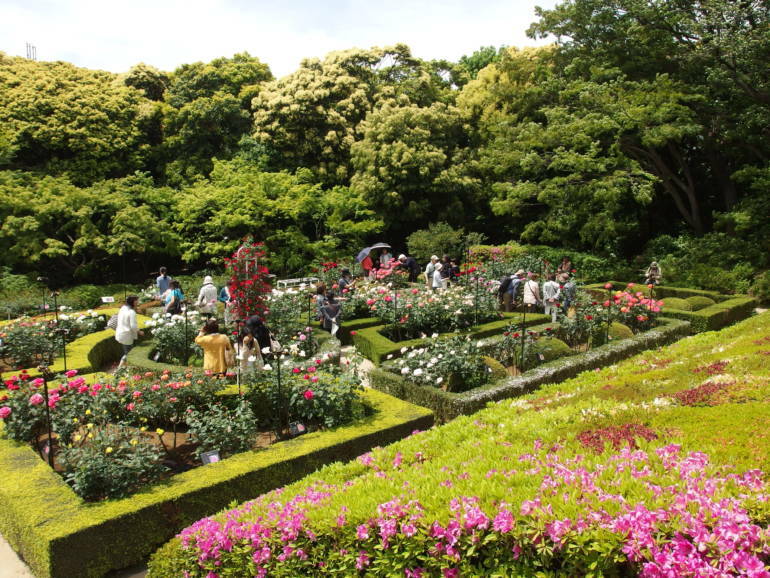 Showa Memorial Park is a huge park located in Tachikawa in suburban Tokyo, about 30 minutes by train from Shinjuku. The annual flower festival there starts late March and runs until late May. The festival isn’t for any particular flower, as there are many, but the tulip season starting mid-April is particularly stunning. You should also be able to catch some other blossoms, including field mustard and poppies in May. When: March 24 to May 27, 2019. Admissions: Entrance is ¥450 for adults, ¥210 for senior citizens, and free for children 15 and under. 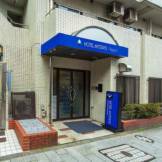 Access: The park is a short walk from Nishi-Tachikawa Station or Higashi-Nakagami Station, both on the Ome Line. If you can’t get to Showa Memorial Park but really, really want to see tulips and maybe sample some strawberries into the bargain, you could do worse than a three-in-one which gives you the Grinpa Tulip Festival, Mt Fuji shibazakura and strawberry-picking. Links can be found among the moss phlox above. Kyu-Furukawa Teien, near Komagome Station, is famous for its vibrant roses. Its rose garden is kind of shaped like a maze, which makes for good photos with the Western-style residence in the background. The rose festival is from mid-May to early June, with illuminations from 10 May to 19 May, 2019. When: Night illuminations run from May 10 to May 19, 2019. Where: Kyu-Furukawa Teien, Nishigahara, Kita Ward, Tokyo. Admissions: Entrance is ¥150 for adults, ¥70 for seniors and free for children of junior-high age and below. Opening hours: 09:00 to 17:00; during illuminations, closing is extended to 21:00. 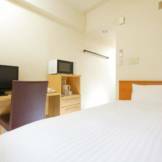 Access: The gardens are a short walk from Kami-Nakazoto Station on the Keihin-Tohoku Line, and Nishigahara or Honkomagome Station, both on the Namboku Line. They may not be the flower that springs to mind, but azaleas are bright and beautiful, especially when they fill the grounds of a shrine in central Tokyo. 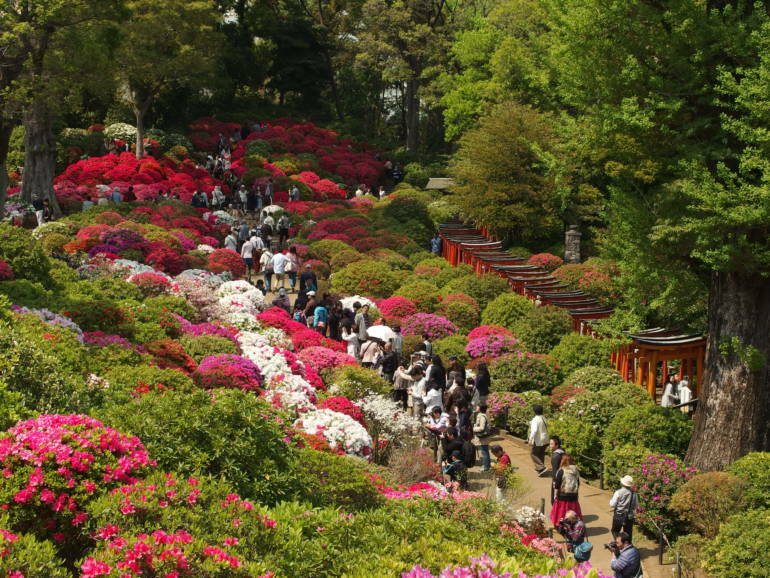 Nezu Shrine holds their annual flower festival in their 300-year-old azalea garden, which is home to over 3,000 plants of 100 different species. 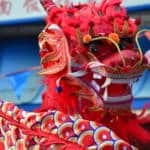 During the festival, there are antique fairs, plant fairs and more. The well-maintained plants are a beautiful site and will whisk you away from the busy streets of Tokyo into 300 years of shrine history. When: April 6 to May 5, 2019. 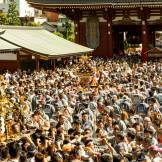 The festival is very busy on weekends—so try to go on a weekday if you can. Where: Nezu Shrine, Nezu, Sendagi, Tokyo. Admissions: It is free to view the azalea plants from the regular grounds, and ¥200 to walk into the azalea garden itself. Opening hours: 09:00 to 17:00. 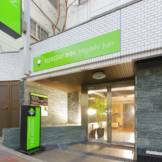 Access: The shrine is a short walk from Todaimae Station on the Namboku Line, and from Nezu Station or Sendagi Station on the Chiyoda Line. Want to do the bare minimum of planning? 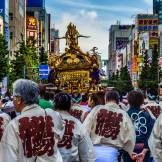 Check out these spring bus tours from Tokyo. This Tokyo flower festival article is updated annually. Blooming times are dependent on the weather and so may vary from the forecasts. Other information is also subject to change. Post last updated: January, 2019.